Hats off to the programmers at Celemony, the Melodyne Editor plug in is absolutely fantastic. I recently send them a support question via email, as I’ve been having a really weird glitch since updating to ME 1.2 and running Logic in 64 bit. 1. I was working on a project, that I started tracking (at 24bit / 44.1) while running Logic in 32 bit mode (before I updated to Snow Leopard and also before I got the 1.2 Melodyne update….) and I recorded vocals and guitar. 2. Then, the following week, I updated to Snow Leopard 10.6.5, and also downloaded the 1.2 update for Melodyne Editor, installed both, no issues. 3. Then, I changed my Logic 9 app to run in 64 bit mode, updated to 9.1.3 (never had updated to 9.1.2; I waited) and started working on the same file. 4. Once I opened up the Melodyne Plug, I transferred the lead vocal into it, and started editing. Then the problem arose… an issue I’ve never had before… there started to be this digital crackling sound on top of the sound of the vocal. It’s somewhat quiet, crackling/popping sounds. at random intervals. They are “repeated” each time I play the file back, so it’s as though they’ve been “written” to the Melodyne affected passage of audio… NOT that my speakers, ,u interface, or Logic, are somehow introducing the pops to my play back. For the moment, I have gone back to Logic in 32 bit mode, and the issue is non-existant. I hope to hear back from them soon, and when I do, I’ll post my findings here, as well as any new info I come up with while continuing to tinker with Logic in 64 bit mode on this project I’m mixing. At what audio buffer size are you operating Logic 9 exactly? 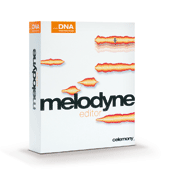 Are you operating it at 1024 samples as recommended when using Melodyne editor?